It’s the exotic taste of vanilla right in your cup. 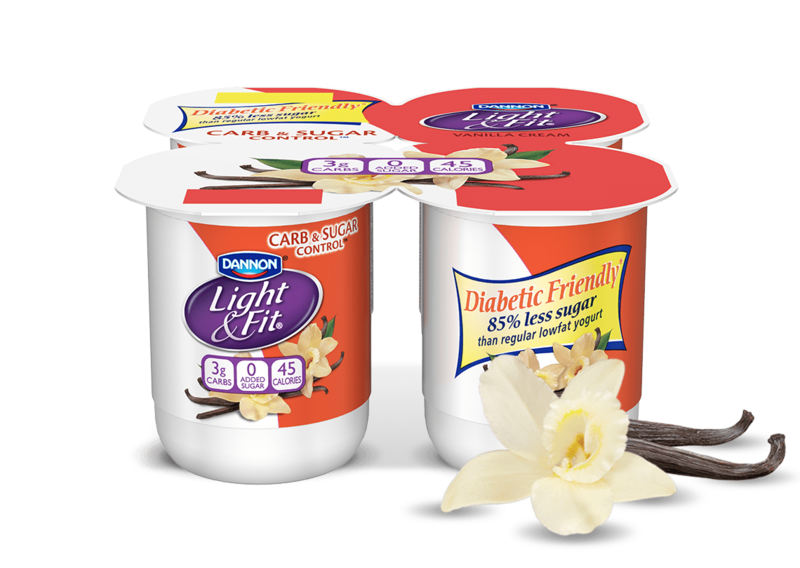 Enjoy this classic favorite with 3 grams of carbs, 45 calories, and 85% less sugar than regular lowfat yogurt*, per 4-oz cup. Water, Cultured Non Fat Milk, Milk Protein Concentrate, Cultured Cream, Contains Less Than 1% Of Modified Corn Starch, Modified Tapioca Starch, Whey Protein Concentrate, Natural And Artificial Flavors, Kosher Gelatin, Malic Acid, Sucralose, Acesulfame Potassium, Potassium Sorbate (To Maintain Freshness), Annatto Extract (For Color), Caramel Color, Sodium Citrate.